Cue the huffing and puffing. The whining. The anxiety and procrastination. Science often gets a bad rap. You may feel it’s too complex of a subject. It’s hard to understand so how will you teach it? It’s not really your forte so you’re not quite sure how to approach it. Maybe, you feel so overwhelmed you’ve decided to put it off, altogether, until your child gets older. Teaching elementary science at home doesn’t have to be as difficult as you think, I promise! And introducing it in the early years of a child’s life help develop an interest for it later while building a solid foundation for crucial problem-solving skills now. Here are some tips for a successful Islamic homeschool science classroom. What is this, you ask? Why, the greatest way to keep a record of your child’s curiosity. An interest inventory will track what your child wants to learn about the most, whether it be bugs, batteries, or anything in between. This will provide you with a place to start. If you aren’t sure where to begin, starting with something your child has a natural curiosity for can’t steer you wrong! Maybe, you already have a plan, or, not so much a plan as an idea of what material you’d like to cover. 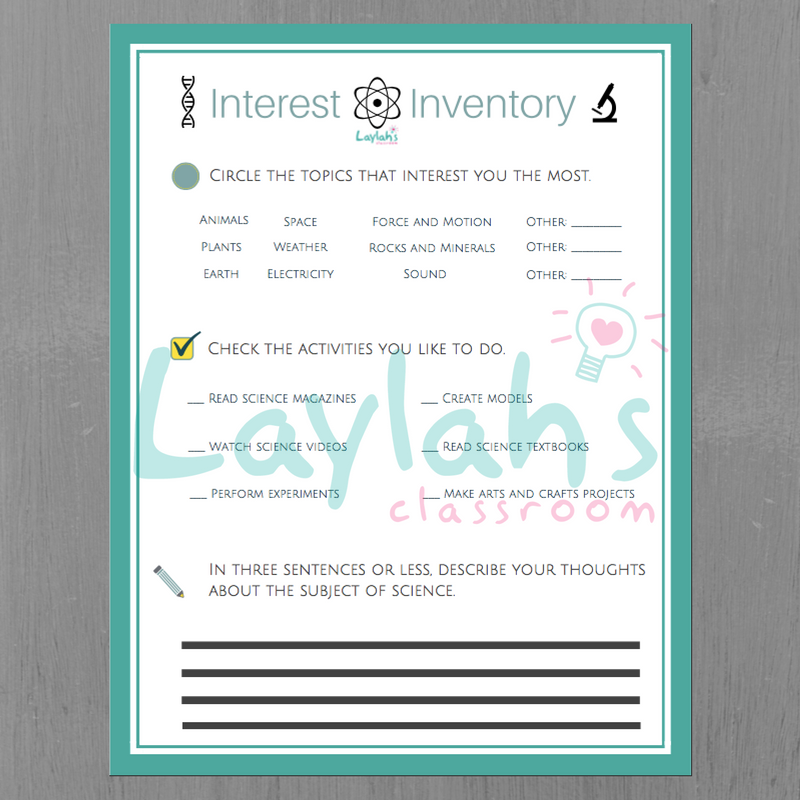 Use an interest inventory sheet to help gauge your child’s level of inquisitiveness for each topic that needs to be covered. Again, start with topics that are well liked. And for topics that just don’t measure up to exploding volcanoes (c’mon, who doesn’t get enjoyment out of that? ), you can, both, mentally and physically prepare when you arrive at these topics. Not sure what to include in your inventory? Check out our free science interest inventory PDF below. Not everything needs to be taught out of a textbook! I repeat – not everything needs to be taught out of a textbook. Especially, science! 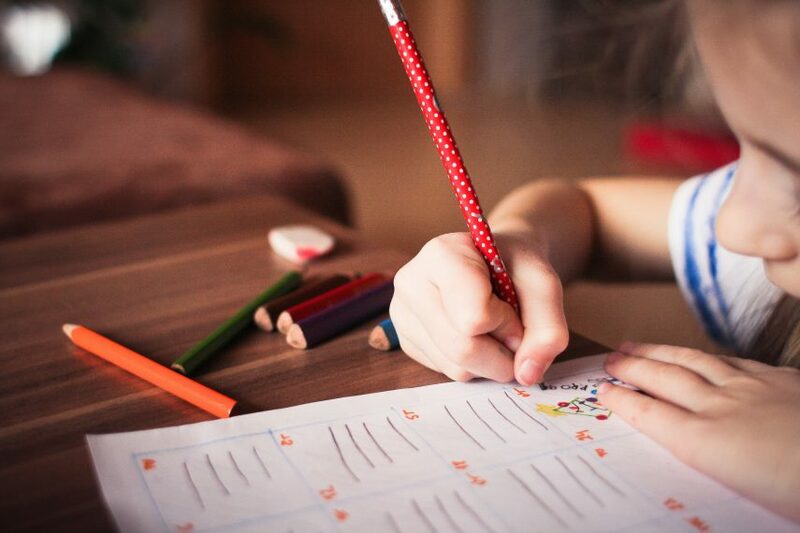 For the less simple ideas and concepts that may be difficult for a child to visualize in their head, try relating it to their immediate environment. Experiment with materials you have lying around your kitchen, color in tables/charts/diagrams, prepare crafts out of recycled materials, visit museums, and when in doubt – head outdoors for some exploration. Science is everywhere. Literally. It is the leaves changing color during fall, and the tide that washes upon the shore. For that pesky science terminology, check out The Science Dictionary here. To keep with what’s current in the field, browse Science Daily here. To help distinguish which of your sources is credible, Purdue University provides a great resource here. Enthusiasm is contagious. Really, it is. If you’re not ‘feeling it’, how can you expect your child to be on board. Tap into your inner science geek. Find something about it, anything, that captivates you and makes you passionate about teaching it. Constantly find ways to relate the material back to Allah (swt). This will give it new meaning for you and your kids. And this is what differentiates homeschool from Islamic homeschool. Not so bad after all, right? I’d love to know, what’s working for your family right now? Drop a comment below with your own personal suggestions! Where should we send your free PDF?